Hypoxia/Hypercapnia prevents Cold-induced Injury of HSC/HPC during Storage. Physiological oxygen values for human blood are far lower than those found in room air (21% O2). Arterial blood oxygen ranges 10-13% O2 and venous blood averages 5-6% O2. In healthy tissues, oxygen gradients are even lower. Bone marrow, where new blood cells originate, O2 levels can range from 6% down to 1% O2 (or less) depending on local vascular physiology. Since oxygen is critical in vivo for regulating cellular function, simulating body-like O2 in vitro adds physiological relevance to cell experiments. Scientists upgrade CO2 incubators with O2-controlled subchambers that mimic physiologic O2 (or physioxia) during culture of lymphocytes (T cells and B cells), NK cells, macrophages, platelets, hematopoietic stem cells, hematopoietic progenitors, and leukemic cells. 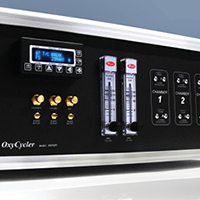 Physioxia workstations permit incubation, handling, and analysis of cells under full-time optimal conditions (O2, CO2, Temp, and pH) to prevent cellular damage which occurs during even brief exposures to supraphysiological room-air oxygen. For hypoxic and hypercapnic models (anemia, polycythemia, and beta thalassemia), choose hypoxia chambers, hypercapnia chambers, hypoxia gloveboxes, and hypoxia workstations to carry out highly reproducible O2/CO2 exposures in both cell and animal models. 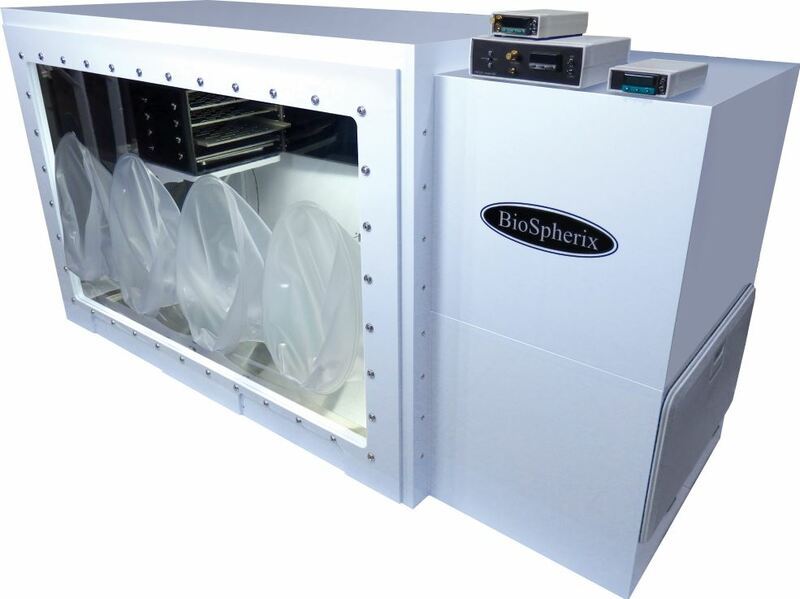 BioSpherix Ltd provides hypoxia chambers and hypoxia workstations designed to help blood / hematology researchers increase both the reproducibility of experiments and the relevance of their work. The hypoxic chamber, ProOx C21 & C-Chamber is a subchamber system allowing researchers to add control of specific O2 levels within existing cell incubators without increasing the laboratory’s equipment footprint. Adding two or more ProOx C21 & C-Chamber hypoxia chambers helps provide simultaneous control at multiple oxygen levels over the full range of pathophysiologic values. The Xvivo System from BioSpherix Ltd is a hypoxia workstation combining one or more O2 incubators with attachable closed hoods. This provides non-varying hypoxic conditions during the entire cell experiment. 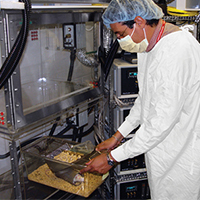 The Xvivo System may be outfitted with multiple O2 incubators so investigators can perform experiments at different O2 tensions at the same time. 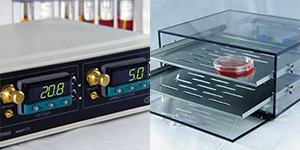 The Xvivo System’s modular hypoxia hoods are connected to the incubator chamber(s) to permit cell handling and cell analysis under the same conditions found in the incubator. Researchers use OxyCycler A84XOV & A-Chamber to provide in vivo models of intermittent hypoxia. Control IH exposures independently in 1-4 chambers at the same time. Optional Monitor Pod for OxyCycler A84XOV & A-Chamber records the following chamber conditions: parts per million levels of carbon dioxide (CO2 ppm), relative humidity (RH), temperature, and oxygen (O2). Cytocentric Blog - Interview with Cytocentric Visionary: Abhilasha Tiwari, PhD, Monash University. What do you look for when you want real answers? Real questions.